January | 2011 | YesBiscuit! Taranis, submitted by reader Michy. Warning: Disturbing and graphic descriptions of animal cruelty at the link. The SPCA is launching an investigation following a report that a dogsled tour company in Whistler, B.C., ordered the killing of 100 dogs when bookings slumped after the Olympic Games in Vancouver. [Vancouver radio station CKNW] reports the dogs were either shot or had their throats slashed before being buried in a mass grave. I’m not going to quote all the gory details but suffice to say these dogs were not shot Old Yeller style but rather suffered greatly at the hands of an unnamed employee who reportedly killed the dogs in April 2010 and later filed for the Canadian equivalent of Workman’s Comp., claiming PTSD. After reading about how these dogs were cruelly slaughtered, I think *I* may have a claim for PTSD. As for the guy who committed these heinous acts – he can receive his mental health treatment in prison as far as I’m concerned. 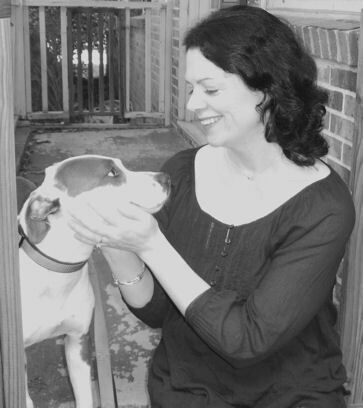 How Can We Save More Pitbulls in NC’s Largest City? Sadly, many of the dogs that are rescued do not find their way into homes because most dog-owning homes in the area already have a Pit bull. Wait, what? While there certainly are myriad challenges facing rescued Pitbulls in the Charlotte area, to my knowledge, this isn’t one of them. The main challenge comes from the county policy prohibiting the adoption of Pitbulls from Char-Meck AC & C. Strays of any breed, including Pitbulls, must be held at the shelter for 3 days which makes it necessary to vaccinate all Pitbulls on intake, even though most will be killed. Taxpayers spend about $12,000 a year on vaccinations for Pitbulls who end up in the wheelbarrow of the kill room at CMPD-ACC. In addition, the shelter further devalues the breed in the public’s eyes through oops-killings followed by the promise of a thorough investigation, followed by tumbleweeds and coyote howls. A very small percentage of pit bulls are spared whenever there’s room for them with an approved rescue group, which can screen applicants more thoroughly. But Rhonda Thomas, who runs Project Halo, said it’s not easy. “I love the breed, but finding a good home for a pit bull has always been a challenge for us,” she said. That’s the nature of rescue – handling the challenge of finding the right home for your pets, regardless of breed. She said many people who want to adopt pit bulls aren’t the type who should adopt them. Oh. Uh-oh. My Potential Pisser Ahead light is flashing. Aw, crud. So I guess the right “type” of Pitbull adopter only comes along once every 6 years or so. Or maybe it’s just that every dog owner in Charlotte already has a Pitbull. I can’t keep track. At any rate, even if advocates convinced the county to change its policy on banning Pitbull adoptions from the shelter, many of the dogs would end up in the wheelbarrow anyway since Char-Meck kills more pets than it saves. And though I hope the rescue rep quoted above is not typical, I think it is generally true that we need more education and outreach to help “iffy” adopters cross over into “good” adopters. And as always, less judgment, more understanding. Most pet owners want to do right by their pets and even if they do things differently than you or I, are still deserving of adopting a pet. 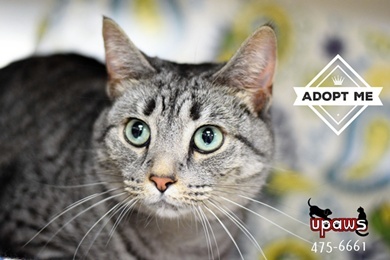 Rescues and shelters who maintain ridiculously high standards simply drive adopters to other sources for pets and sour the possibility of future adoptions. Since we know the status quo is a fail, let’s think in terms of change. What changes would have the greatest positive impact on Pitbulls in the Charlotte area? Sherman is a 4-mos-old mixed breed puppy who is dog social and incredibly people friendly. Submitted by reader Marji, who is fostering Sherman. 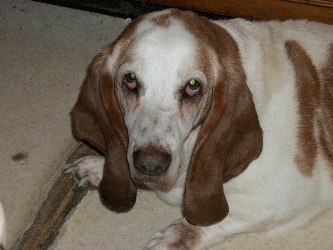 Molly is a 10 year old, spayed female Basset Hound. 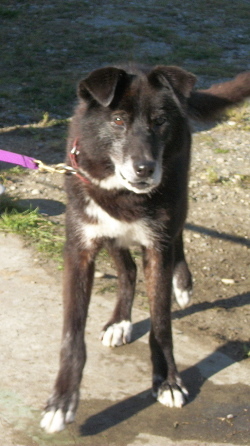 Buckwheat is a 10 year old, spayed female Alaskan Husky. While I appreciate that posts like these are well-intentioned and aimed at expressing the urgency of getting a pet out of a kill shelter to save his life, I cringe when I read such statements. Words have power. And although the intended effect of the message was positive, the power behind these words is negative. He’s too young and too beautiful to put down. It’s ok to kill older pets or the ugly ones since most people don’t want those kinds, but we should try to save the young and pretty pets because youth and beauty are valued in our culture. His days are numbered. He’s a dead dog walking. It’s his destiny to die in the kill room of a shelter. By the time you read this and take action, he may already be dead and who wants to set themselves up for that kind of disappointment? Just pass this one by. There’s nothing you can do. His time is up. This pet is worthless. His value is so low, he’s not even valuable enough to LIVE past an arbitrary date on the calendar. He’s had his chance to get adopted and nobody wanted him so obviously he’s no good. Oh well, we can’t save them all. Are we helping these pets by putting out these kinds of messages? Are we helping foster a culture of compassion about shelter pets and promote the concept of a no kill nation? Or are we inadvertently discouraging potential adopters/foster homes/crossposters by using this kind of language? Are we actually justifying the killing of healthy/treatable pets in shelters when we use terms like these? Monocle Mike, submitted by Valerie. This is a no kill shelter. Weigh In – CA Shelter Wrong? Right? Other? The form [the owner] signed, according to officials with Animal Services, does not state that the department has the final say in determining whether to euthanize a dog. Animal Services retains some discretion over the fate of animals surrendered, regardless of whether euthanasia was requested. I’d really like to see the actual form myself but in the absence of that, I guess I’m questioning how the shelter both does and does not have ultimate discretion over disposal of the dog. We can think about this case from not only a legal perspective but from an ethical one as well. 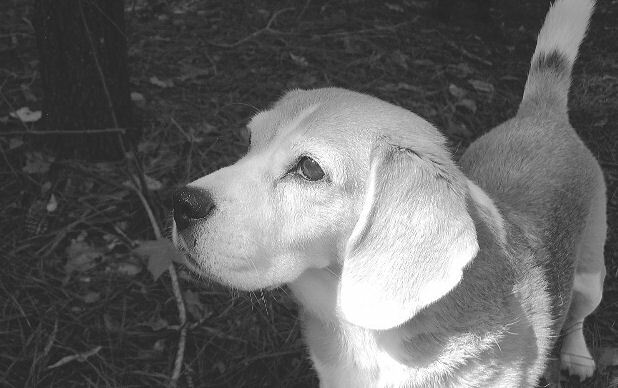 Should the shelter have offered pet retention counseling to the surrendering owner? How would you feel if you were in the owner’s shoes now? How about if you were the shelter manager who saw a dog that seemed highly adoptable slated for euthanasia? h/t Clarice for sending in this link. ACOs picked up a badly injured dog in need of veterinary care and placed him in a kennel, causing him to suffer without treatment for hours until a shelter volunteer found him. Multiple shootings of dogs running away from ACOs or hiding beneath cars. The shooting of a kenneled dog named Brutus who was slated for adoption. Pat Wilkins says her dog, “Abby,” was picked up by Cumberland County Animal Control after fireworks scared her away from home. Before Wilkins could pick Abby up, she says the dog escaped, and was found dead along the highway. Area residents wishing to attend the meeting should go to the Large Courtroom at the Cumberland County Courthouse in Crossville today at 4:30pm. Not ALL of the good ones are taken - yet. You may remember Houdini from the post I did on him after he was pulled out of a sewer in Atlanta. Well he is still playing the field and interviewing candidates for adoption so I suggest you put on your Sunday Best and hurry down to the shelter before he charms his way right out the front door on the arm of some trophy owner. This shelter’s kill rate is 39%.